Tylt is probably better known for its vast catalogue of charging gadgets, including inductive charging pads. (Which explains why its new VÜ Pulse Pebble Time case also adds Qi wireless charging capabilities to the smartwatch.) But it’s the integrated optical heart rate monitor that will have most Pebble Time users considering the easy snap-on upgrade. The best feature of the VÜ Pulse, though, might be its price tag. Tylt is using Kickstarter to help bring the case to market with a crowdfunding campaign trying to raise $100,000. The first thousand backers can preorder one for just $39/£28, with delivery expected sometime in August. That’s far cheaper than even a dedicated heart rate-capable fitness tracker. 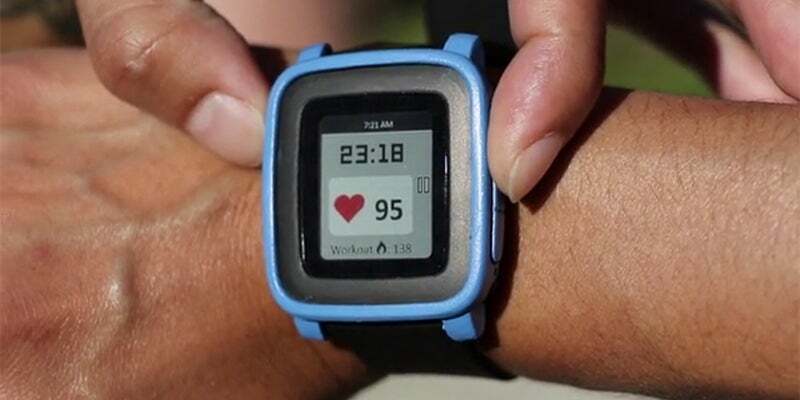 Suddenly your Pebble isn’t so sedentary after all.